From left to right: 2nd Gen Rollerball, 2nd Gen 18k Gold Nib, 1st Gen Steel Nib. 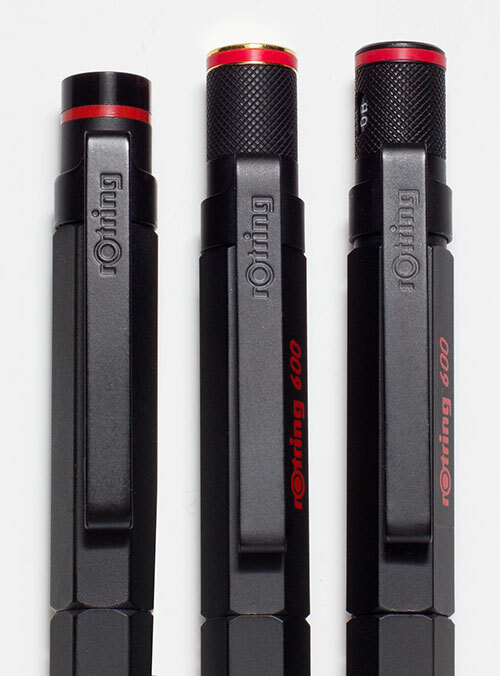 As most of you already have seen plenty of images of the Rotring itself I'm going to concentrate on the differences between the three basic generations. Getting written information about these pens is really difficult because the company got bought by Sanford 1998 and most information of former times was lost or destroyed. 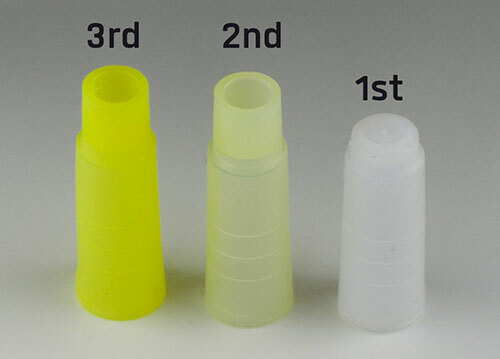 1st Generation: No printing on the cap or body, deep knurling, bevel above red ring 50% of height. Was only available in steel, nib indicator has no "L" setting. 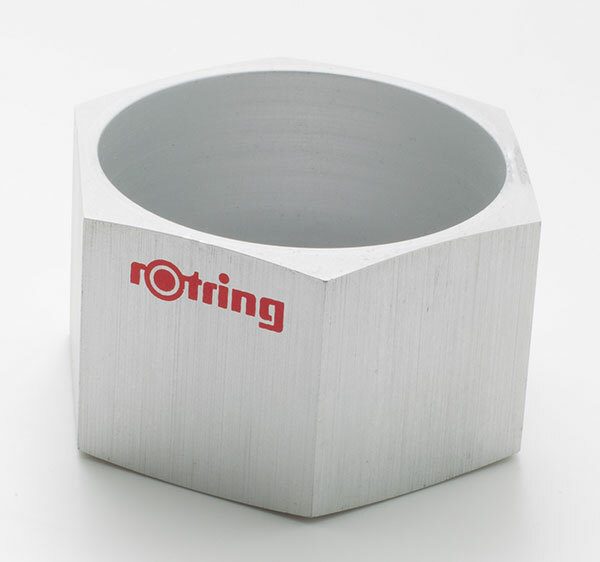 3nd Generation: Rotring 600 printed on the cap, different color used (RAL 3001), deep knurling, bevel above red ring 50% of height, cap is slightly bigger then 1st and 2nd generation. Rollerball and Gold version available. If you find a 2nd or 3rd gen without printing that means it was initially sold via the Rotring branch that sold promotional items to be printed with the promoting company's logo. This is a Rotring Newton. 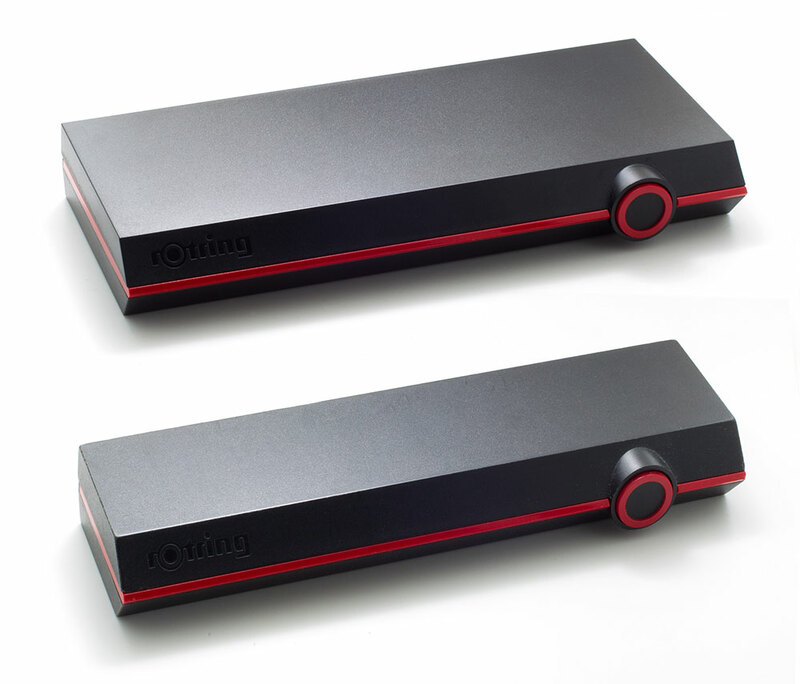 Although it looks quite similar, it has almost nothing to do with the 600 Series. Because the first run wasn't succesful in terms of sales this was meant to appeal to a broader market. Was mildly more succesful, ran until 1998 when Rotring was bought by Sanford. Sanford initially continued sale but most likely was just selling of old stock. Was removed from catalogue in 2004. 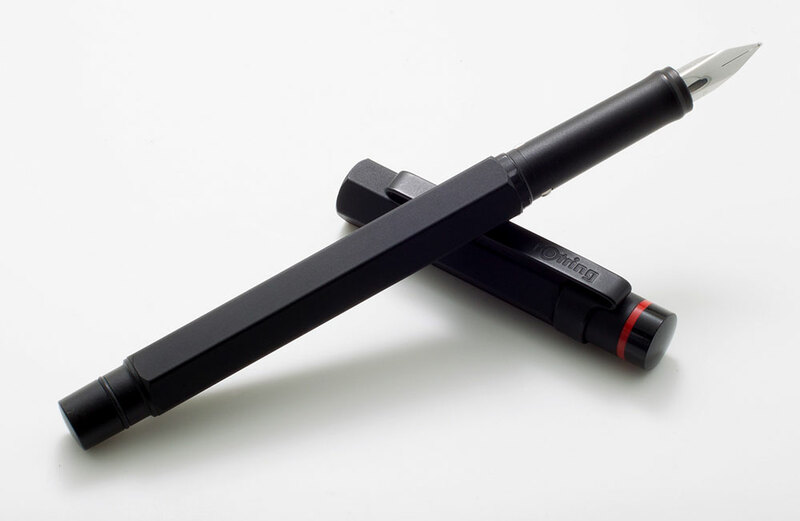 This is not a Rotring 600 "Prototype"
This is a Rotring Lambda. I've seen a few labeled as 600 Prototype, but they're not. Are about 10 years younger then the 600. Only produced as promotional item. You could get them printed with your name (or what you wanted, made to order) on at a large warehouse chain in Germany. 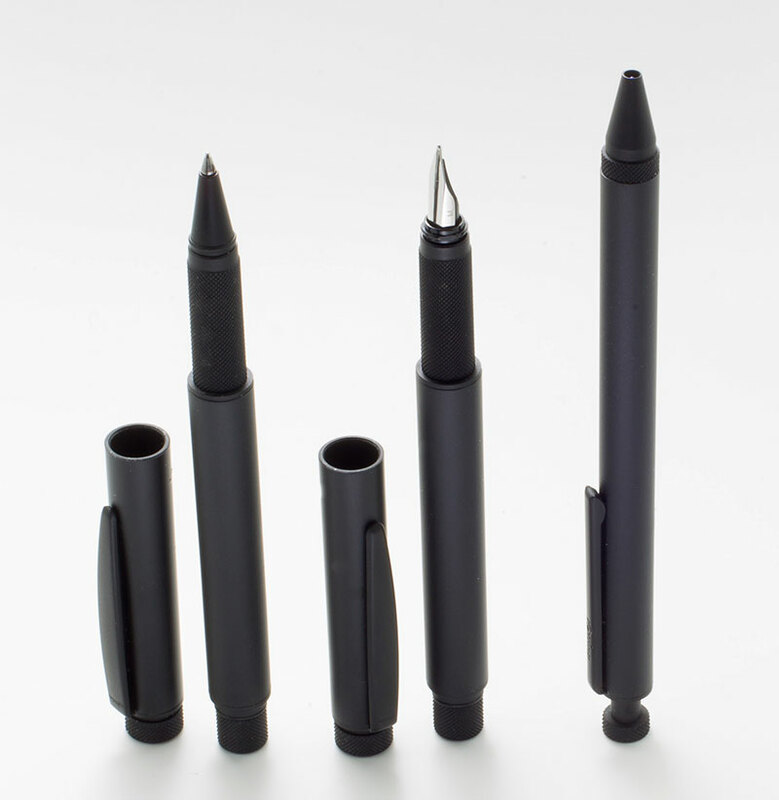 Feel free to ask me anything you want to know about the Rotring 600 and its versions or other Rotring Pens or even Rotring in general. If you want pictures of something in particular, don't hesitate to ask me. Please excuse my grammar and writing, english is my third language. Feel free to point out errors to me! Edited by Carrie, 21 July 2013 - 20:37. Wow! This is very nice! Do you have more pictures of the gold nibbed pens as well? How about the Rotring Newton next to the 600? Where was the Rotring Newton made? Stolen: Aurora Optima Demonstrator Red ends Medium nib. Serial number 1216 and Aurora 98 Cartridge/Converter Black bark finish (Archivi Storici) with gold cap. Reward if found. Please contact me if you have seen these pens. Please send vial orders and other messages to fpninkvials funny-round-mark-thing gmail strange-mark-thing com. My shop is open once again if you need help with your pen. When did you start your collecting 600's and how much did you pay for them? Do you know of any places bar ebay where NOS or good condition ones are still sold? Searching for the perfect blue ink..
Could you list the differences between Rotring 600 and Newton pens, cosmetic and others? Everything. Its like the the Volkswagen Golf and Audi A3. They are produced by the same company, look a bit similar, but thats about it. But caveat: There was a Levenger-exclusiv variant mentioned above that had the predecessor of the newtons cap retaining mechanism. Do you have more pictures of the gold nibbed pens as well? How about the Rotring Newton next to the 600? Where was the Rotring Newton made? Difficult question. The Newton was introduced in 1998 (earliest mention in catalogue), or 1996 according to an article in an old magazine (from 2001). I dont believe 1996 is correct, that would have meant it was produced by Rotring (Riepe Werke). But all Newtons I know of and read about were produced by Rotring (Sanford). That puts the production most likely in one of Sanfords production facilitys, with the assembly happening in Hamburg Germany. I've got my first one about 15 years ago, as a present. It has been my daily writer until I managed to destroy it (broken feed) around 4 years ago. Since then I'm scared that I could loose it, so I started getting a few spare ones. And a few more. And then started to get interested in everything that goes with it. Thats where I am now. and how much did you pay for them? I've paid between 70 and 200$ for most of the pens. Most of my pens I bought in small writing shops all over europe. The last one I found was a NOS Rotring Newton Lava Rollerball and Fountain Pen in a small shop in Vienna. Didn't buy them because I don't like the Newton that much, and I don't like Lava at all. If there is a particular version you are looking for, just send me a PM, I might be able to help you. Currently there are two pens of my collection that I'm thinking about selling, but I don't want to get banned for breaking the rules, so that will have to wait until I've written enough to be able to post something in the classifieds section. But i'm a very lazy writer, so that may take some time. Wow! The Newton and 600 are like apples and oranges. I never realized they were so different! Wonderful write-up! I love it! This is exactly the type of review/write up one hopes to find on the FPN. Fabulous review JPS and excellent presentation. Many thanks for taking the time. Very interesting and thorough post. I have a steel-nib 600 and a couple of steel nib Newtons and all the pens write identically. 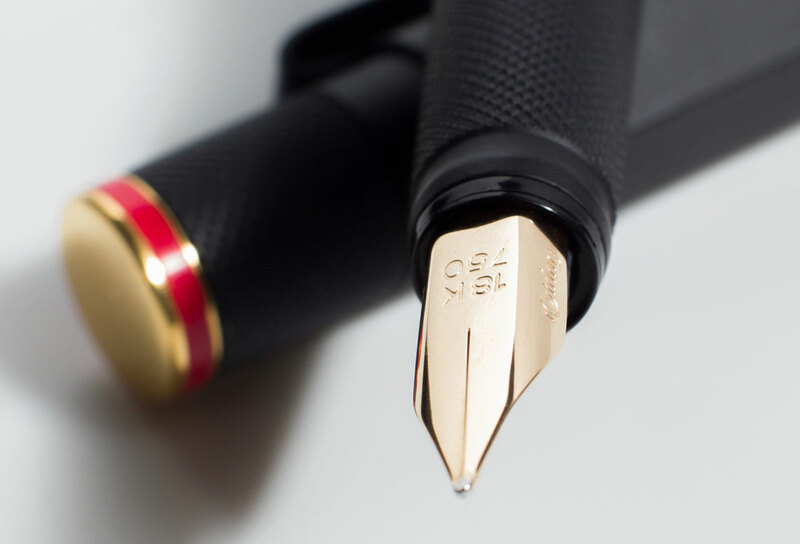 Do you know if the nib manufacturer is common to both the 600 and the Newton? I suspect Bock made the nibs but have no real evidence to support it. Pens and paper everywhere, but not a drop of ink. "Cursive writing does not mean what I think it does"
Thanks so much for this post. So many people have described and sold the Newton as the new (smooth) version of the 600. This is clearly an example of repeating something so often, that people start to believe it. 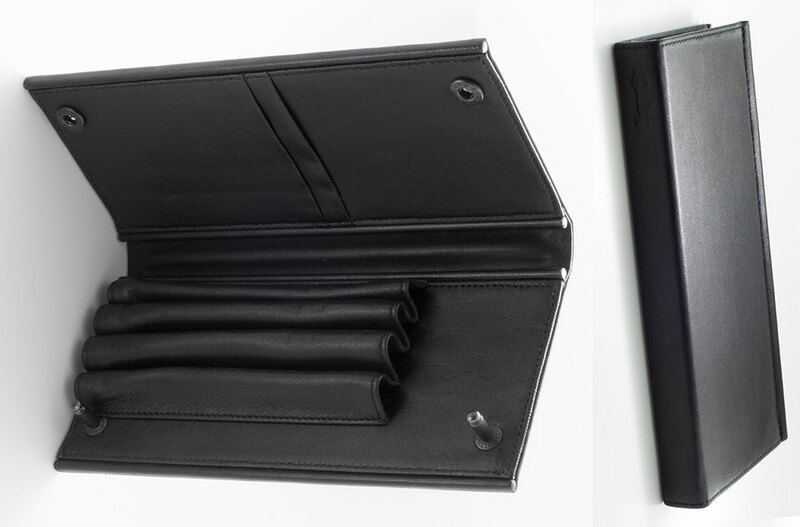 By the way, does anyone know who makes the Levenger copy of the 600: the L-Tech? Edited by JPS_Rotring, 15 July 2013 - 17:37. I wrote an email to a friend of mine, but I can already tell you that its not easy to find out who made it because Rotring didn't publish these kind of informations. My biggest wish would be to learn the name of the original designer - but nobodys knows for sure. 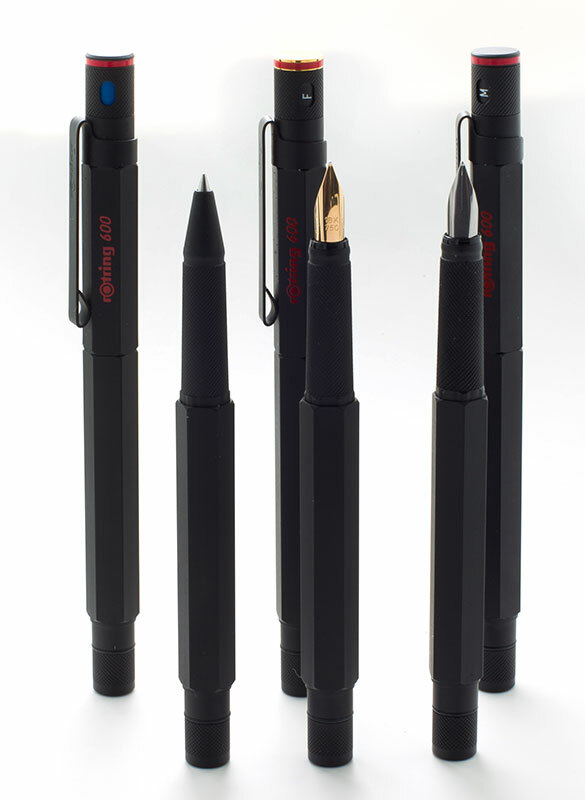 There are 4 people who worked at Rotring at the time, but the person responsible for the design or sketch is not known. Edited by JPS_Rotring, 15 July 2013 - 21:00. So, I just posted about the Lambda (because of imageshack issues) in another thread, but I had another question about the Lambda bp after seeing your image. As a promotional item, was the pen made of mix-and-match parts, or did it have a revision or another generation of it? Because the bp I have has a clip more like the rollerball and fountain pen than what your ballpoint has: http://imageshack.us...2/6348/l9d4.png And if ten years younger, then it came out around when the Newton was introduced? Not a big deal - just a question. 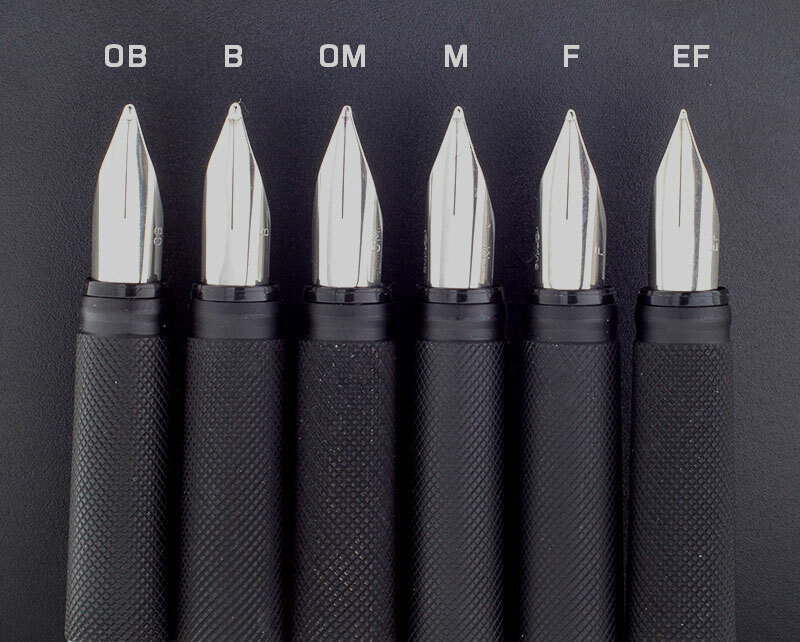 Also, my first "major" pen purchase was a rotring 600 series triopen in '97 - and at the time, I thought that the 600/Newton labeling was almost synonymous or something, because I thought it was one line with more than one name. At the time, I thought it got the Newton name because of the "gravity-activated" mechanism used to select the ink refills on the triopen, but I guessed incorrectly, it seems. Thanks for the guide; 'twas much appreciated! Edited by OnePenGuy, 24 July 2013 - 17:26. Maybe. 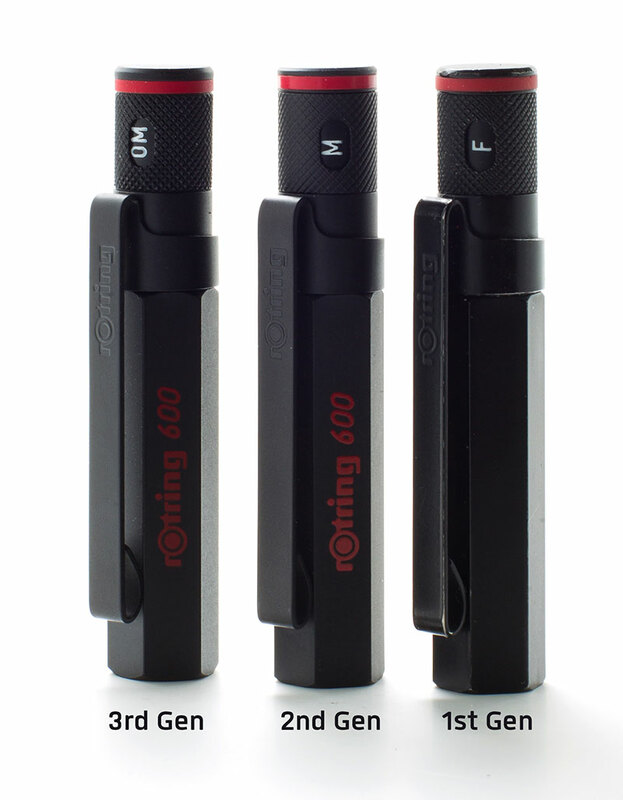 Rotring was a very "agile" company, often changing things to speed up production or to correct shortcomings. Because of your post I looked at my Lambdas again and noticed that I've got to different caps for the rollerballs, one like the ballpoint, one like the fountain pen. The round one is milled, but the edged one seems to be stamped. Maybe thats the reason for the change? And if ten years younger, then it came out around when the Newton was introduced? Most likely, but I have never been able to get a business catalogue of the time before Sanford took over - and the Lambda was not listed in the cconsumer version. Der englisch Physiker, Isaac Newton hat vor 300 Jahren die moderne Physik begründet - durch zielstrebiges Denken. Genau das zeichnet den Newton von rotring (sic!) aus: geradelinig, zielgerichtet und von der Form her genau auf den Punkt gebracht. Ein Schreibgerät für Menschen, die ihren eigenen Weg gehen. 300 years ago the english physicist Isaac Newton founded modern physics - with straight thinking. Exactly what makes the Newton by rotring (sic!) unique: straight, directly on target and exactly on point form wise. A writing utensil, for people that go theire own way. Edited by JPS_Rotring, 24 July 2013 - 20:02. Because of your post I looked at my Lambdas again and noticed that I've got to different caps for the rollerballs, one like the ballpoint, one like the fountain pen. The round one is milled, but the edged one seems to be stamped. Maybe thats the reason for the change? That could be... So they just changed the process and adapted the components as needed? I'll have to go back and see what exactly the clip looked like (the pic I took was dark for that detail), but I'm pretty sure mine is more like the clips for the capped pens, although I think the clip for your bp looks sturdier. I only happened to notice the one I have because it was listed as a rare rotring pen on that one auction site, so I really have no idea about any of its history. Now that's cool! I never had any print or saw much online catalog documentation for the Newtons (or 600 series, for that matter), so that's great to see what rotring had written about them at the time! Thanks! It doesnt have a lot of history. And it was a quite cheap writing set when it was first sold in stores, most people don't collect cheap pens. Now they are rare and the current price reflects that. Is this success measured in terms of sales? And so the 600 series had a change to its look and it became the Newton? 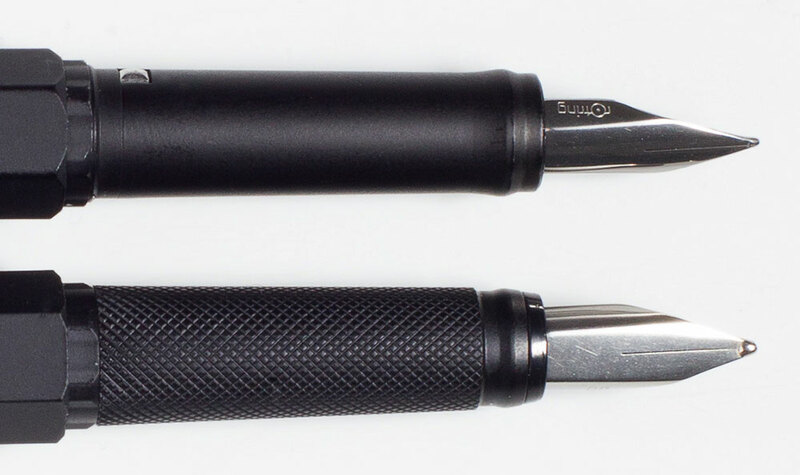 It didn't really "change" its look, its more like a new pen with a design thats kind of an homage to the old Rotring 600. The 600 fountain pens and Rollerballs where no big hit. Most of them sat and collected dust at retailers - Rotring was far ahead of the time. It was the beginning of the 90s, with a pen that was so radical Bauhaus it was completely different than any other pen on the market. Sadly it only appealed to people like engineers, it never got up to speed in the rest of the market. 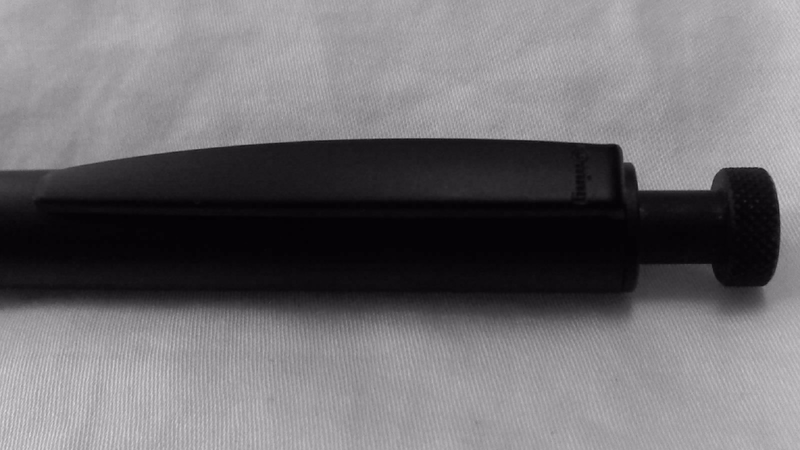 Rotring 600 Fountain Pen, Silver With Black Trim?